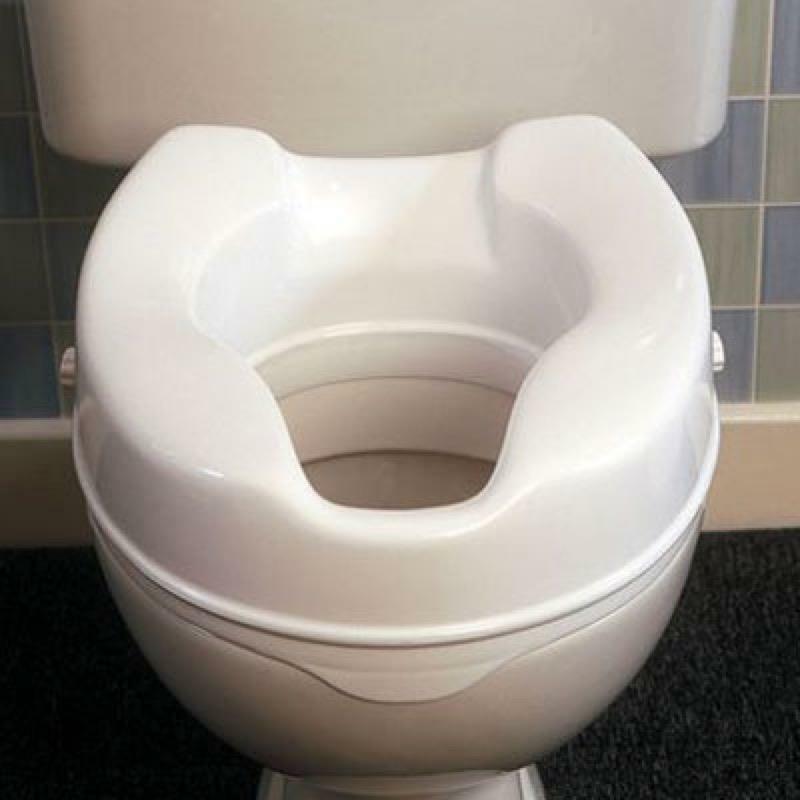 This Savanah raised toilet seat with a large rear cut-out for conventional personal cleansing. Smooth contoured surface provides comfort and security. This Savanah raised toilet seat with a large rear cut-out for conventional personal cleansing. Smooth contoured surface provides comfort and security. Two brackets allow easy and quick attachment and a front lip ensures correct positioning. Product Heights 2, 4 or 5½"
Product Width (with brackets) 16¼"